Valentine's Day divides businesses (much like people *ahem*) into two types: the ones that sell flowers, cards, jewellery and lingerie, and the ones that do every other business on Earth. The first type will definitely, let's face it, earn more on this day. Yet the biggest mistake the other companies can make is to completely ignore St. Valentine's. General holiday marketing rule tells us to never, never ignore a holiday! But, how can you possibly earn money on this day if you sell toilet paper and contact lenses? Well, I have one word for you: a story. 1. Make it about the story! Ask your customers to submit their most memorable, funniest, or simply the worst date/break-up stories on social media. Think about the platform you want your campaign to be on. On Facebook, people will have more room to express their creativity and actually tell the story. On Twitter, they will have to do it in 140 characters. This is not necessarily a bad thing, as you can introduce a hashtag such as #WorstDateIn5Words, which can easily go viral. 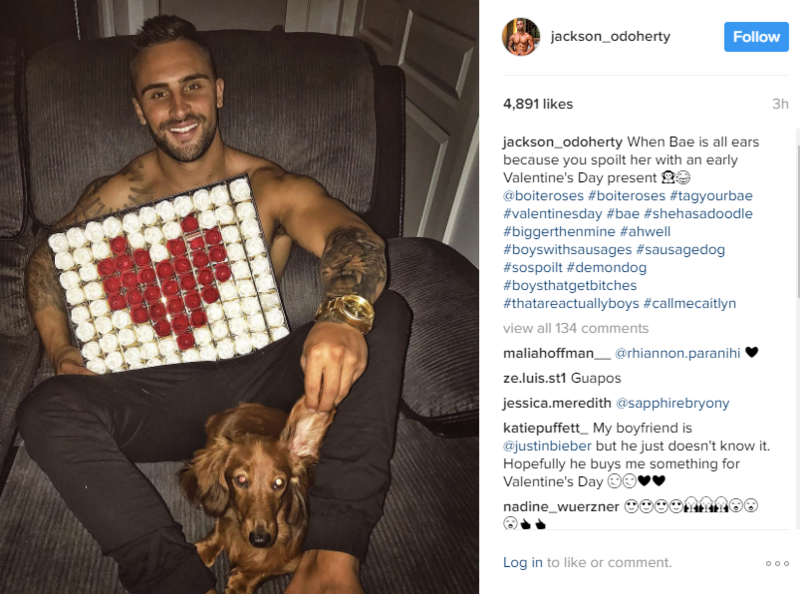 Hashtags are still a great way to promote any business on social media. Start a unique one that will be short, catchy, related to your campaign and full of love. Use it alongside common hashtags, such as #valentines, #love, #antivalentines to increase exposure. 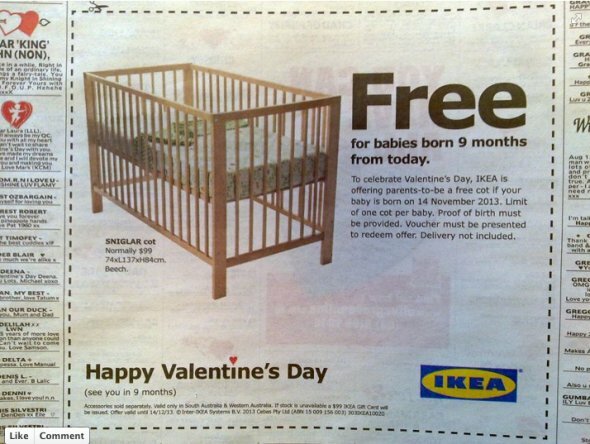 For example, Durex asked their customers to tell what they have always wanted to surprise their partner with for Valentine's Day. Customers had to use the #50GamesToPlay hashtag. 1.2 Ask for a story in a photo. What if your audience isn't into writing? Then go for the photo option! People love everything to do with images: just look at the mind-blowing popularity of Instagram. On St. Valentine's, a huge number of active social media users will dress up, get presents, take pictures - and they're just waiting for an excuse to share a pretty filtered photo of all that with you! And, unavoidably, there will be some people with great sense of humour that will post funny pictures in response to lovable couples. Bring 'em in! 2. Share funny/cute facts & stats. Ideally, connect the above with your brand. A food store could report how much alcohol was sold on the day, Netflix could share how many time Bridget Jones's Diary was watched, a coffee shop could tell us how many couples shared their dessert. As long as the information brings out a smile or an "aww" on your reader's face! 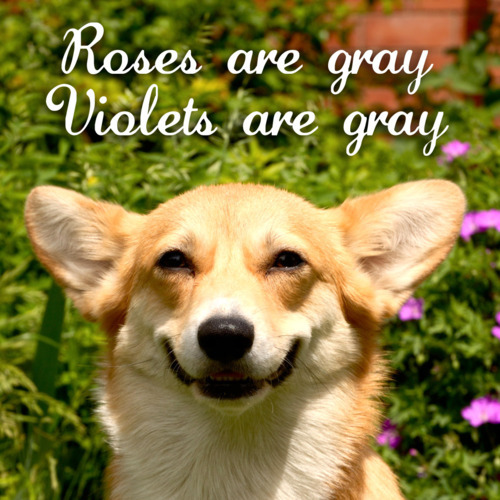 If there is nothing at all that connects your brand and lo-o-ove, then post unrelated to your brand Valentine's facts and stats. For example, how many people actually hate the holiday? What about their demographics? So many things other than flowers and more flowers can be a gift! Maybe your product as well? Think of the way you can promote it like one, maybe as an original and nonconformist gift. Still no? Then share interesting gift ideas unrelated to your product. This will increase engagement, and, chances are, the reader will still go to your website after finding something worthy or having a laugh. 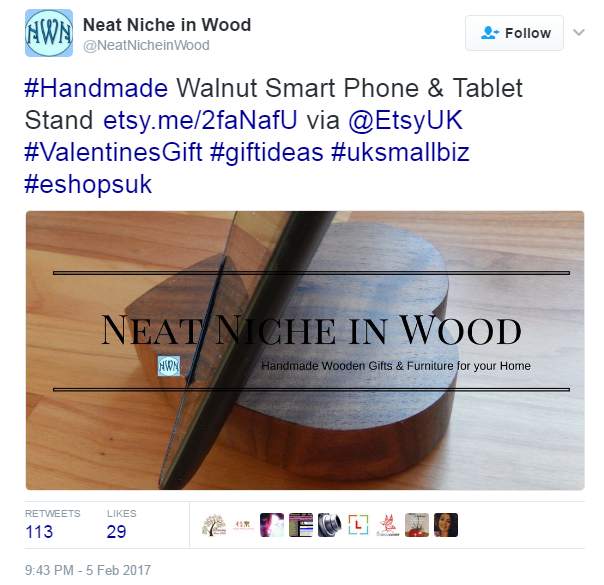 If some of your products can easily make cool gifts, highlight top trending products to make the choice easier for your customers. Sometimes, it's incredibly hard to choose anything for a partner, and a buyer will gladly go for the most popular item. 4. Create a special "St. Valentine's edition". Alright, so unlike all other ideas, this one is for the companies with some extra budget to spend on holiday marketing. A number of popular brands did that, and, as you can imagine, the result was incredible. For example, the company known and loved by social media, Oreo, did a limited edition of Red Velvet Oreo Flavored Cookies. To promote that, they created the whole series of videos about awkward and unexpected romance. 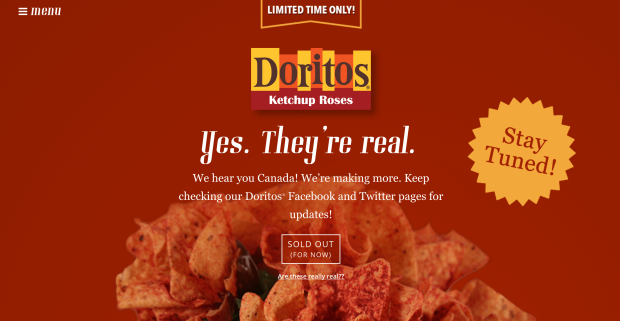 Similarly, Starbucks debuted three chocolate beverages, which were available for a single week, and Doritos offered “very limited quantities” of “12 beautiful long-stem Doritos Ketchup Roses”. After all, edible roses are always better than non-edible roses. 5. Create a "romantic" promotion. 6. Show your love for a charity or a cause. And ask your customers to support it. For example, L'Occitane introduced a lip balm called Baume Solidaire - 100% of the profits from it will finance NGO projects to promote women's leadership in the world. While it wasn't a Valentine's Day campaign, it easily could've been. If you're puzzled at the moment about what kind of profit you would make from such marketing, recall that barely anyone comes to the shop and stops at buying a lip balm. 7. Share the love with your customers! It's easy, it really is. All you have to do is go to your social media accounts, or open your email, and let your customers know you love them with anything you want: a simple message, a picture, or maybe even a poem. 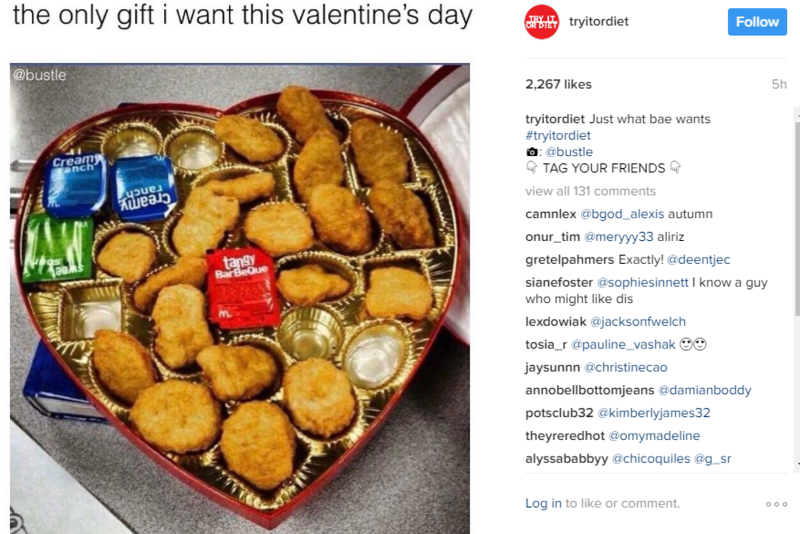 Do you have any other ideas for St. Valentine's marketing? Anything you've tried that worked wonders? Share the ideas, share the love, tell me in the comments!